Marantz has finally officially launched the 'reference standard' BD8002 Blu-ray player in the UK, over a year after first demonstrating it at CES 2008. The flagship player has HDMI 1.3a, a 12-bit video chipset and supports 24fps, Deep Colour and all raw high definition data - but does not support the Blu-ray 2.0 profile for BD-Live. A 10-bit Silicon Optix Realta processor has the HQV (Hollywood Quality Video) processing system, which offers 'improved' video performance with up-conversion and scaling to 1080p for DVDs. Pixel-by-pixel and digital noise reduction technology also helps to remove image-degrading artifacts. As befits Marantz's audio roots, a pair of SHARC DSPs (Digital Signal Processors) help to deliver a lossless hi-def soundtrack thanks to their decoding of Dolby Digital Plus, Dolby True HD and DTS-HD Master Audio. With HD-DVD having died since the world first saw the BD8002, Marantz can now safely call it a 'universal' HD Blu-ray player. It can handle VCD, SVCD, MP3, WMA and DivX video files, and it has an SD card slot, too. The player has been available in the US for months, but it's now on sale in Britain for the wallet-shocking price of £1,800. What do you think? 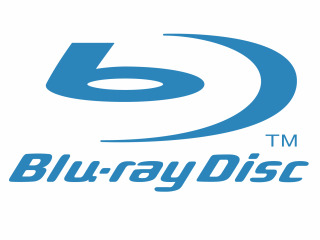 Is it too late for a manufacturer to launch a Blu-ray 1.1 player, especially at this steep price? Or is BD-Live just an over-hyped gimmick when compared with pure video and sound quality?